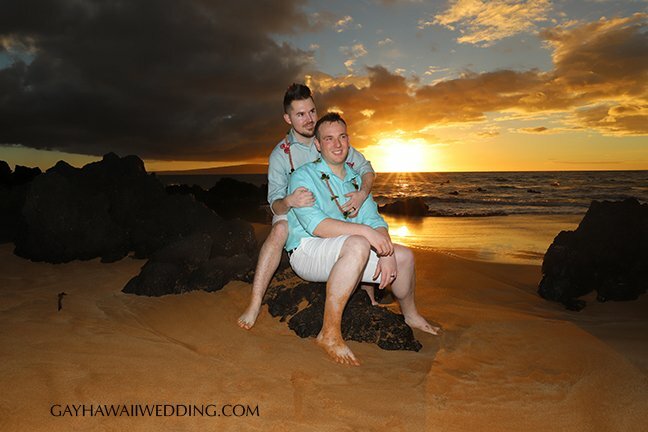 We recommend couples select a professional Maui photographer for their wedding or vow renewal, especially if you are choosing a sunset wedding. Most photographers, amateur and some professional, do not know or have experience shooting into the sun. Our experienced Hawaii wedding photographers produce excellent images, guaranteed. Your wedding photographs are something you will treasure for the rest of your life, and many photos will be handed down to your children and grandchildren in your future. So, please do consider a professional Maui photographer. • includes 40 photo prints along with a high-resolution photo CD. Photography is at ceremony location up to 1.5 hours. • The a la carte fee is $680.00 if you are not purchasing a Maui wedding package. 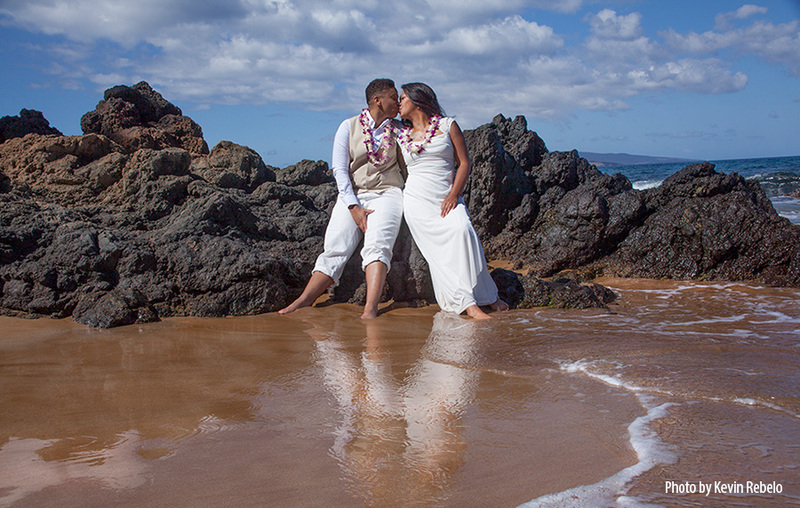 If you are selecting Hawaii Wedding package #2, #3 or #5 your package price includes the photos. We do offer various additional options to select from. • 60 additional photos – $375.00. Hard-bound Coffee Table Photo Album Only $350 + shipping. with glossy book jacket cover. The book also features the words and vows from the ceremony. includes the rights to all the images taken* (saved on CD). Our Classic Hardcover Book is a great way to share and display your wedding photos and memories. The size is just right to showcase all of your favorite pictures. We add captions and text from your ceremony. Order just one copy or as many as you want (additional copies only $175 each). We guarantee you’ll say, “Wow!” when you see the finished product. All books are laid out by national award-winning graphic designer and photographer- Kevin Rebelo. Kevin has created pieces for Maui’s Exclusive Resorts such as the Grand Wailea. His work has appeard in National magazines like Modern Bride and Sports Illustrated. Books are compiled from the photographer’s selection of over 100 photographs taken at ceremony site. An average of 45-60 images will appear in the book (samples shown on this page). Images not included in the book will be provided on the high resolution Photo CD. Reception photos will incur additional costs. Fee is based on customer purchasing standard photography package. 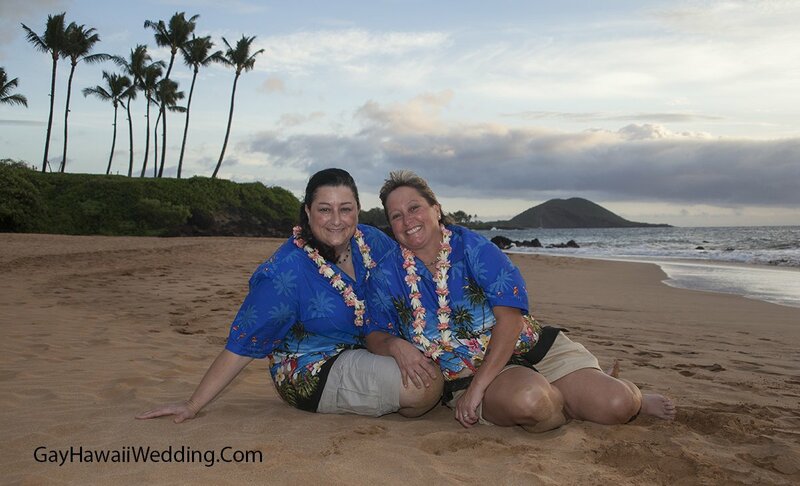 Gay and Lesbian Maui Hawaii wedding company performing weddings on a secluded Maui beach and other venues. GLBT owned. From beginning to end Kristina did an excellent job with our wedding. She was quick to respond when we had questions, walked us through each step of the process and her performance of the ceremony was very warm, professional, and charismatic. Thanks to Kristina for a great experience! On February 8th Mary and I had the most beautiful sunset wedding. Thank you so much for making our day so special. Everything was perfect. Gay Hawaii Wedding is feeling happy. 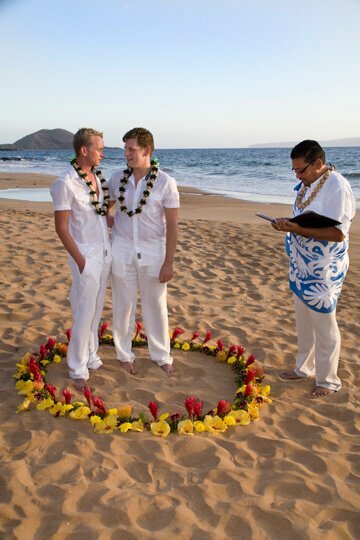 Gay Hawaii Wedding is celebrating love at Po‘olenalena Beach. 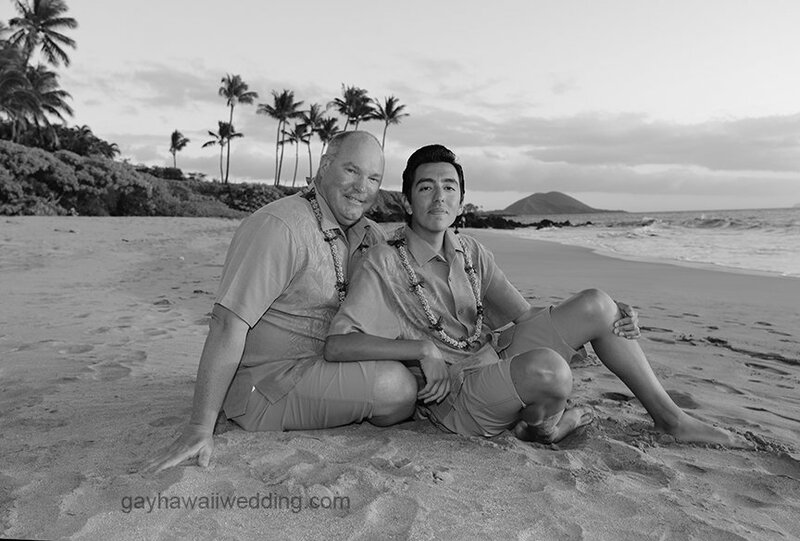 Gay Hawaii Wedding is celebrating love. Carlos Galeana cuando te vas a casar bro? Michael y el otro quien es? Raza de viboras haber cómo planean corromper a mí Señor El creó hombre y mujer y los une y ya no son dos sino una misma carne. A mí Señor nadie lo impresiona y no retrocede ante nadie. 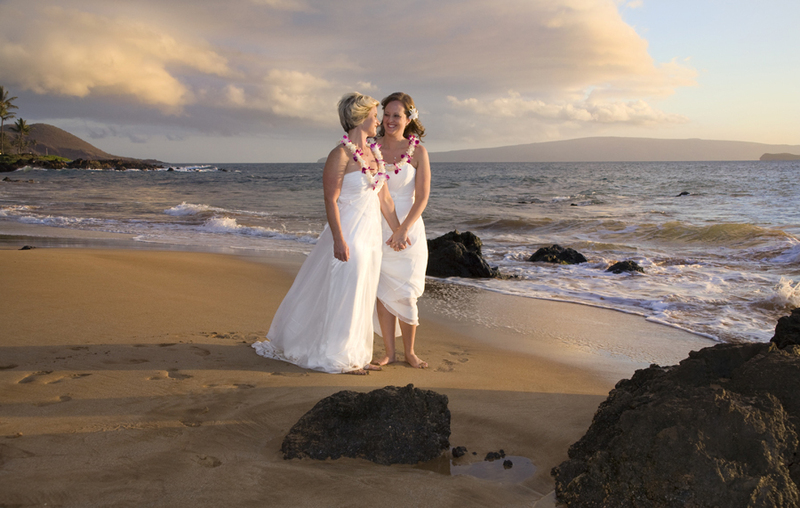 Gay Hawaii Wedding is celebrating love at Island of Maui. 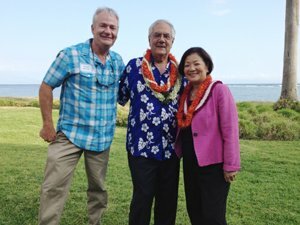 GayHawaiiWedding co-owner, Frank Rebelo-Miholer, recently met with openly gay Congressman Barney Frank on his 2012 trip to Maui. Also in photo is U.S. Senator from Hawaii, Mazie Hirono. We are Featured in Frontiers Magazine. Please read!